SON Technology has been a trusted government partner for more than a decade. 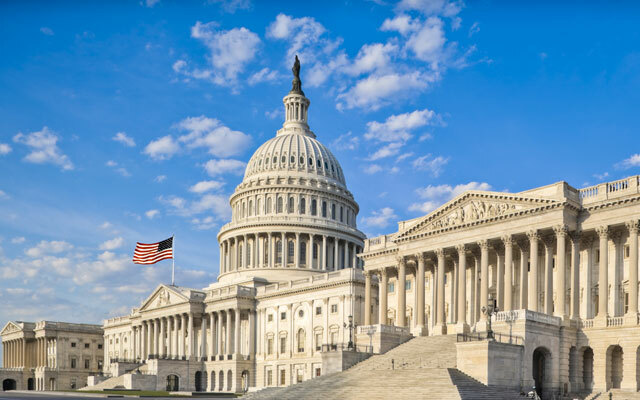 We understand the IT and budgetary challenges government agencies face, as well as the need for optimized operations and upgraded infrastructure to support a more connected community. We have a proven track record of delivering mission critical IT solutions to the federal government. Our team’s engineering and technical knowledge, low-risk and coordinated approach to each project, high expectation for success, and cost-effective solutions have ensured satisfaction and earned the federal government agencies’ trust. Project management – Our project managers have kept government agency projects on track and within budget with sound project management methodology. Full-life cycle solutions – We have utilized our engineering and technical knowledge to design solutions that meet agencies’ mission goals. Cost-effective solutions – Our longstanding relationships with industry-leading vendors has allowed us to deliver cost-effective solutions for government offices. Information technology is transforming how government works, and to stay on top of demands for increased IT optimization, efficiency and security, your agency needs to act now. The challenge is knowing what changes to make and how to make them with limited resources. That’s where SON Technology comes in. By leveraging our experience in working with government agencies, our expertise in IT, and our proven project management methodology, your agency can have cost-effective solutions to achieve your mission, serve the public well, and meet the demands of twenty-first century government. Whether you need to upgrade your network, improve network security, enhance data backup and disaster recovery plans, or transition to the cloud, our IT solutions and services will improve your IT capabilities, boost performance and efficiency, and enhance the quality of the services you provide. Your data are necessary for achieving your agency’s mission, so having consistent, reliable backups is very important. Our experienced engineers will implement a backup method that best meets your agency’s needs and gives you the security you want: onsite, offsite, or a hybrid approach that combines the convenience of onsite backup with the security of offsite storage. Whether you have a complete project or want to outsource a specific phase of a project, we can customize a solution to fit your needs. Our project managers combine knowledge and understanding of the IT industry with experience in government IT and sound project management methodology. With SON Technology as your IT service partner, you’ll be able to improve productivity and data storage and security, manage increasing IT demands, and control your IT budget. You’ll benefit from improved performance and security of your network, top quality maintenance and support, and reduced IT expenditures. Our IT experts will partner with you to customize the IT services and solutions to help you achieve your mission now and in the future. Call 407-936-2220 or contact us online for a free government IT consultation.